How’s your family sofa holding up? Are sticky fingers using the armrests as drums, or do you have young superheroes who use it as a launchpad? (I hope this isn’t just my house!) A durable couch comes into its own when you have kids, and you can get a fresh look for your family’s favourite gathering spot, without breaking the bank. Here are some incredibly affordable, Australian-made lounge options that have the family-friendly seal of approval. We recently walked you through the homes of some of our Babyology Influencers, after they’d given their spaces a Fantastic Furniture mini-makeover. It’s amazing what can be done on a tight decorating budget! Fantastic Furniture creates some of the most affordable, on-trend furniture in the nation, particularly when it comes to sofas. Fantastic Furniture makes sofas right here in Australia, and has done for more than 25 years, from its Sydney lounge factory. Hundreds of thousands of Australian families kick back on a Fantastic Furniture sofa each day, with around 130,000 delivered to Aussie homes every year. The range is vast, so if you have an awkward space, a tight area or a large family, one of the 30 sofa styles is sure to fit the bill. Once you’ve honed in on a design, you can make it your own, with more than 100 MyChoice fabrics to choose from. 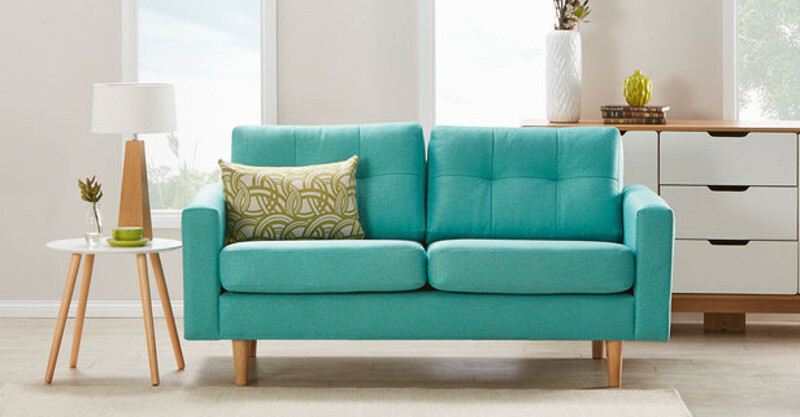 Here’s a closer look at some of the family-friendly sofas we love. A modular sofa, like the Drake five seater chaise has family movie night written all over it. Sturdy and plush, the whole family can pile on, popcorn in hand, and snuggle in. The wide arm rests and padded cushions add a little luxe to a very versatile sofa. Mid century more your thing? Fantastic Furniture has created a stylish sofa that’s the perfect mix of contemporary and classic style. 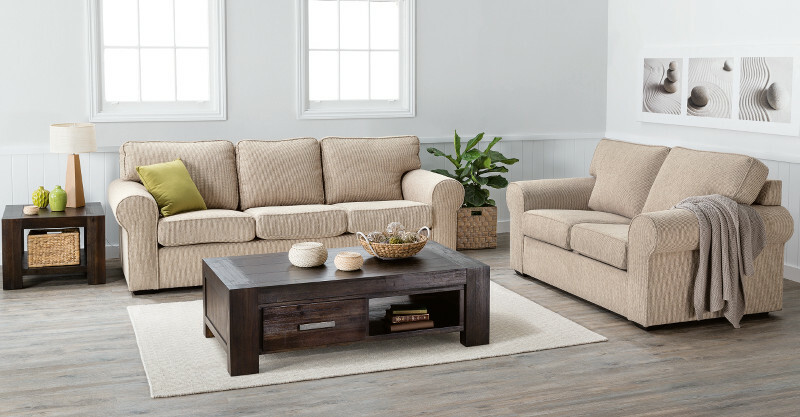 The timber legs and pulled-in back cushions are the details that bring the Jazz sofa to life. The comfort factor is high too, and the Jazz is available as a two seater, three seater or armchair (pictured below). Just because you have kids, doesn’t mean you can’t have a sofa that brings a touch of class to your lounge area. We love the Hampton sofa, with its rolled arms, premium fibre back cushions and seats that are just made for snuggling up with kids and some classic children’s books. Like the previous two sofas, there are more than 100 fabrics that can make it work with your existing colour scheme. 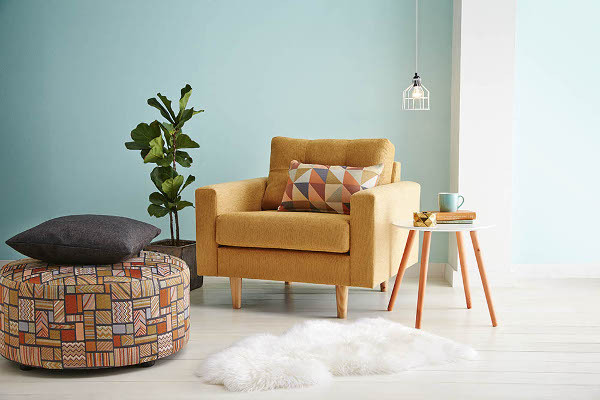 Fantastic Furniture makes it easy to do a bit of armchair research (pardon the pun!) with all of the options listed online. Or you and the kids can head into a store near you to try out the sofas and find the perfect fit for your family.